"Sometimes you just gotta let go, take a walk on the wild side." Roadside Attractions & LD Entertainment have debuted the full-length official trailer for a super cheesy romantic drama called Forever My Girl, from director Bethany Ashton Wolf, adapted from Heidi McLaughlin's novel. The film tells the story of a country music singer named Liam Page, played by Alex Roe, who leaves a woman behind at the altar to chase his dreams of fame and fortune. However, when he returns to his tiny hometown for a funeral, he reconnects with Josie and learns about another surprise (see the trailer). But of course, right? Also starring Jessica Rothe, Abby Ryder Fortson, Travis Tritt, Judith Hoag, John Benjamin Hickey. Featuring original country music performed by a bunch of country stars. Definitely for me, but maybe for some of you. You can also still watch the first teaser trailer for Forever My Girl here, if you want even more footage. 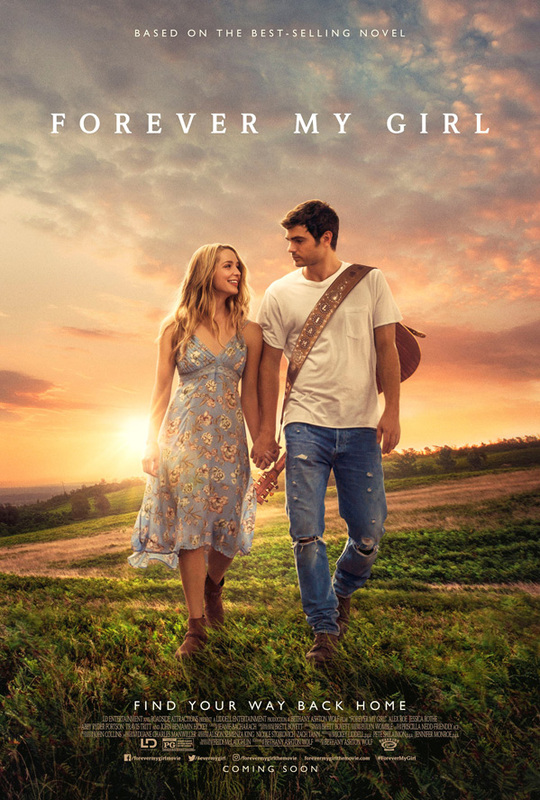 Forever My Girl tells the story of country music super-star Liam Page (Alex Roe) who left his bride, Josie (Jessica Rothe), at the altar choosing fame and fortune instead. However, Liam never got over Josie, his one true love, nor did he ever forget his Southern roots in the small community where he was born and raised. When he unexpectedly returns to his hometown for the funeral of his high school best friend, Liam is suddenly faced with the consequences of all that he left behind. Forever My Girl is written and directed by filmmaker Bethany Ashton Wolf, of the indie film Little Chenier and a few other shorts previously. Adapted from the novel of the same name by Heidi McLaughlin. Roadside Attractions & LD Entertainment will release Bethany Ashton Wolf's Forever My Girl in theaters starting on January 19th, 2018. Anyone?